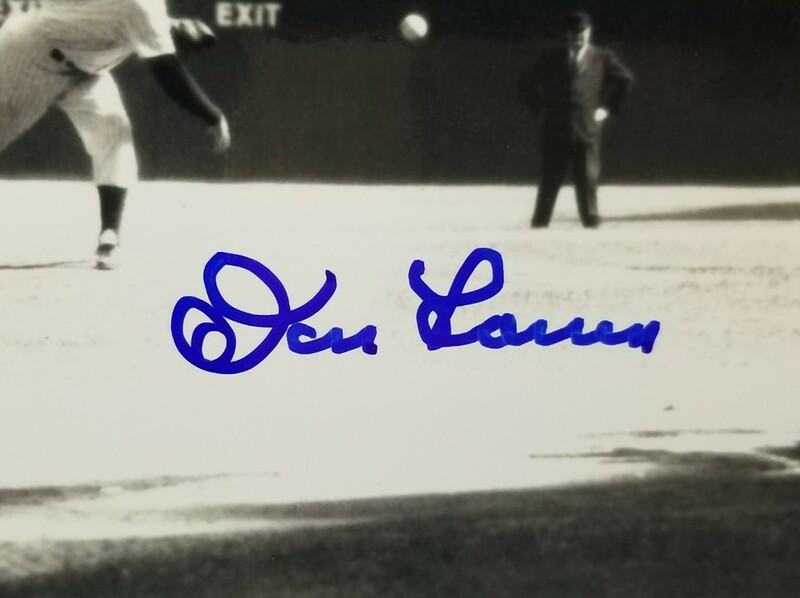 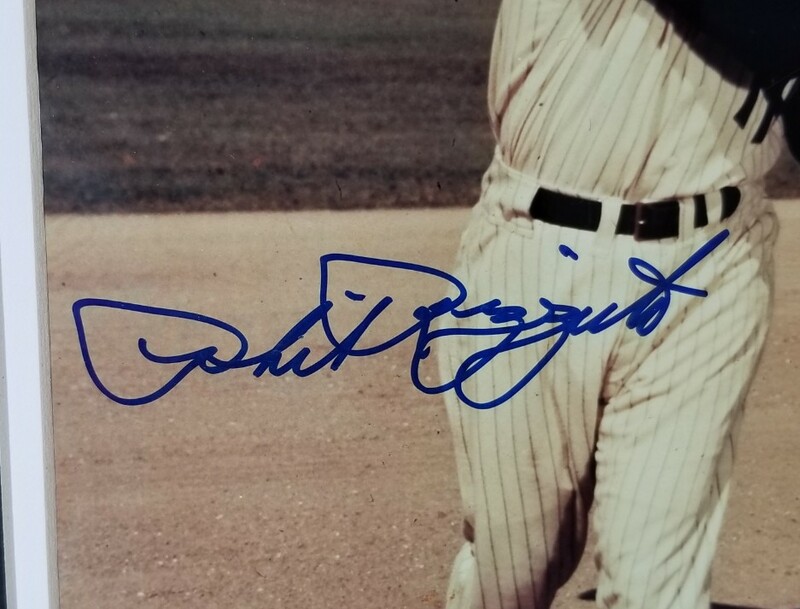 These 8x10 photos have been personally hand-signed by Yogi Berra, Phil Rizzuto & Don Larsen of the New York Yankees. 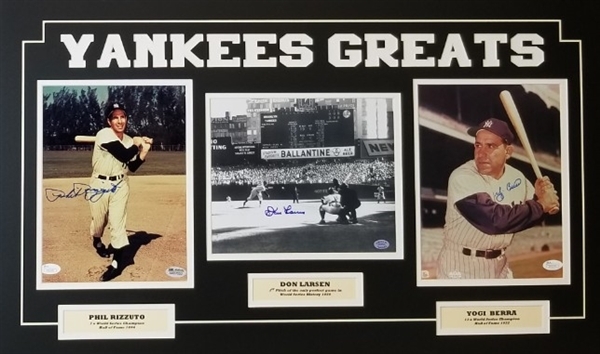 The photos come inside a matted display that measures 18" x 30". 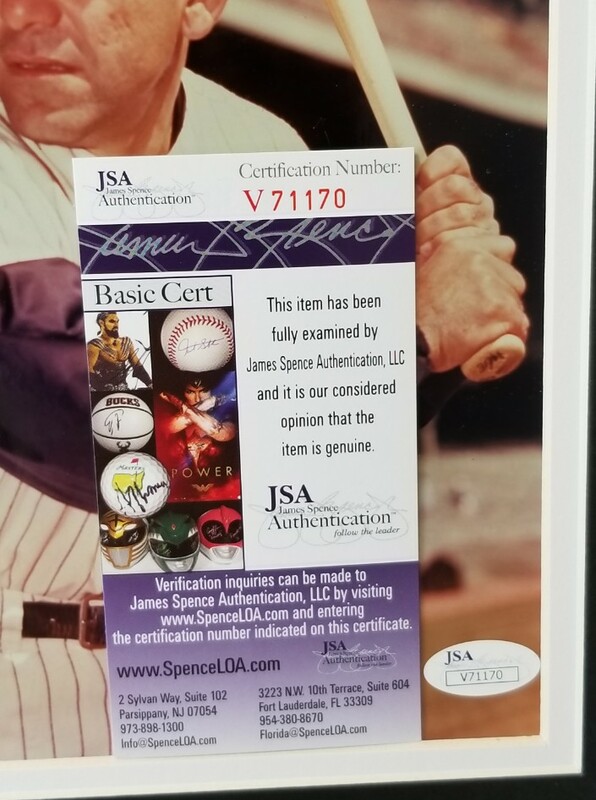 The Rizzuto and Berra autographs are certified by James Spence Authentication (JSA). Each photo comes with a JSA numbered hologram and matching Certificate of Authenticity. 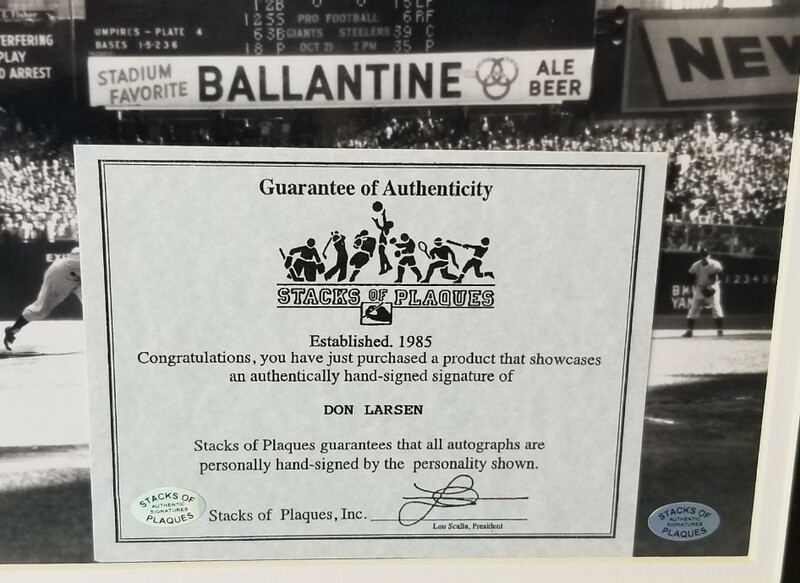 The Larsen autograph is certified by Stacks of Plaques (SOP). 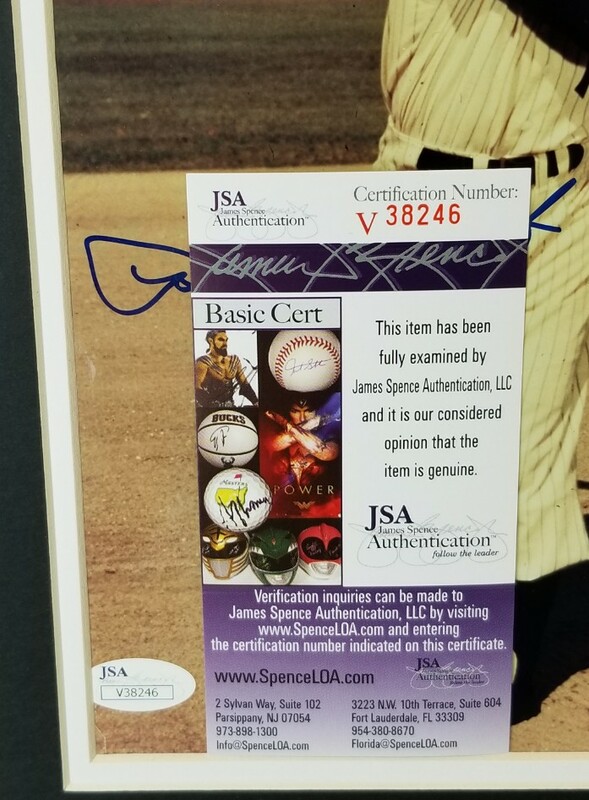 It comes with the Stacks of Plaques authentication hologram and Certificate of Authenticity. 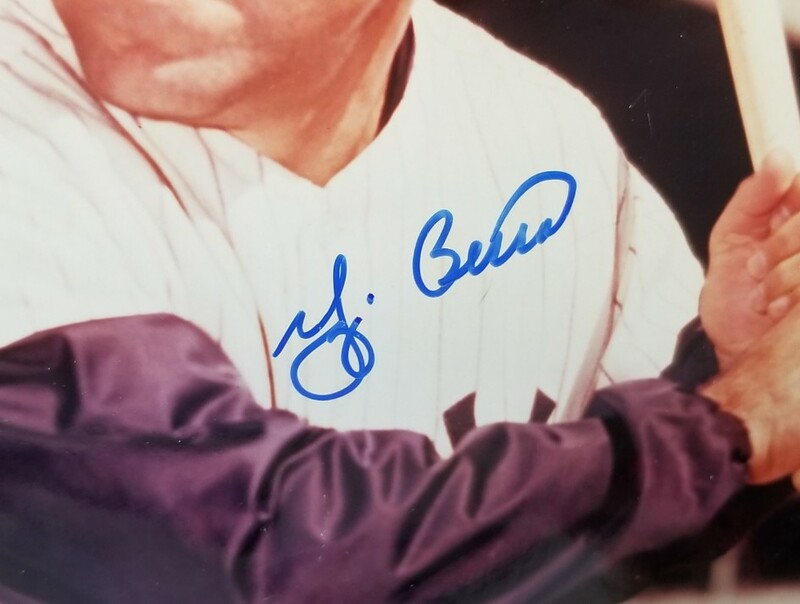 ** The matt display is affixed to its cardboard backing.